Click here for Winter League Info! THIS SATURDAY APRIL 20, 2019 THE PROGRESSIVE STRIKE JACKPOT WILL BE $450.00! WE ENCOURAGE YOU TO MAKE RESERVATIONS EARLY BECAUSE OF LANE AVAILABILITY. GOOD LUCK !!!! UP TO 10 YEARS OLD SHOES ARE FREE. 10 AND OVER THE AGE OF 10, $3.00 PER/PAIR. PLEASE NOTE, EVERYONE MUST WEAR BOWLING SHOES DUE TO LIABILITY AND SAFETY REGULATIONS. Please call ahead of time to reserve your lanes. 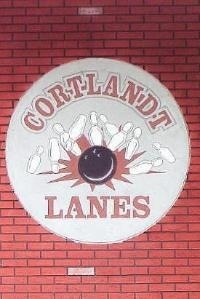 League bowlers are permitted to bowl right next to other league bowlers to get conditioned lanes.